Live from CXC! Dylan Horrocks, the NZ cartoonist behind Hicksville (Drawn & Quarterly) and Sam Zabel And The Magic Pen (Fantagraphics), joins the show for a live podcast to talk about his fear of comics, our responsibility for our fantasies, the way he built a fruitful career around creative block, the influence of Maori culture on white New Zealanders’ perspectives, the way his backup stories keep becoming his major projects, his take on Charlie Hebdo and how it ties into his experience with the fatwa on Salman Rushdie, and the idea that America is a story we tell ourselves. This episode is part of our Cartoon Crossroads Columbus series of live podcasts. Give it a listen! 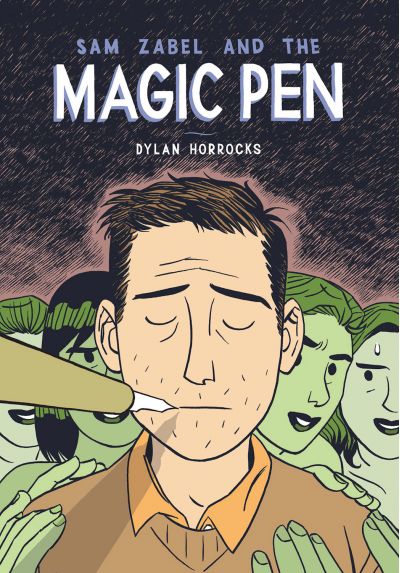 Dylan Horrocks is from New Zealand, where he lives near the city of his birth, Auckland, with his wife and their two sons. He published 10 issues of his legendary comic book series Pickle through Canada’s Black Eye Press in the mid-1990s. A collected version of his Hicksville serial was first published in 1998, and quickly became one of the cartoon works of its generation. 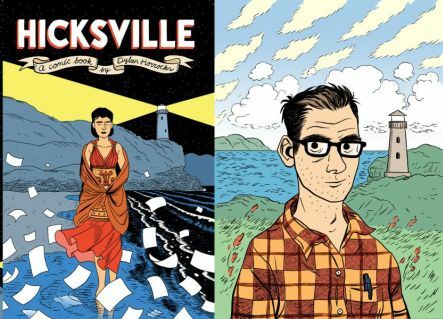 Hicksville‘s vision of a small town where comics are so valued that, even those comics that never got to be created somehow exist, is a thrilling, yet human vision for the art form, and one which cartoonists and audiences have rallied to ever since. Horrocks has since drawn the comic book Atlas for Drawn And Quarterly, spent time working for DC Comics, and has become an educator and advocate for the art form in New Zealand and abroad. His newest book is Sam Zabel And The Magic Pen , a new graphic novel published by Fantagraphics about the act of creation and the pernicious qualities of being creatively blocked. His Incomplete Works will be published in the U.S. any time now. 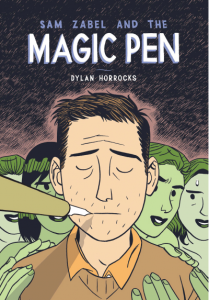 You can follow Dylan on Twitter at @dylanhorrocks. Credits: This episode’s music is Nothing’s Gonna Bring Me Down by David Baerwald, used with permission of the artist. The conversation was recorded at the Cultural Arts Center in Columbus, OH during Cartoon Crossroads Columbus in October 2015 on a pair of Blue enCORE 200 microphones feeding into a Zoom H5 digital recorder. I recorded the intro and outro on a Blue Yeti USB Microphone . Processing was done in Audacity and Logic Pro. Photo of me & Mr. Horrocks by Amy Roth. 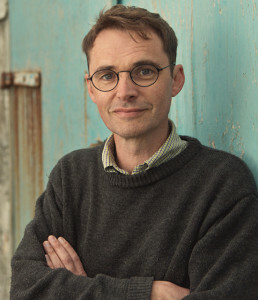 I’m afraid I don’t have a photo credit for that photo of Mr. Horrocks.